Chamberlain Companies has a plural name because of its former role as a general contractor and millwork producer. 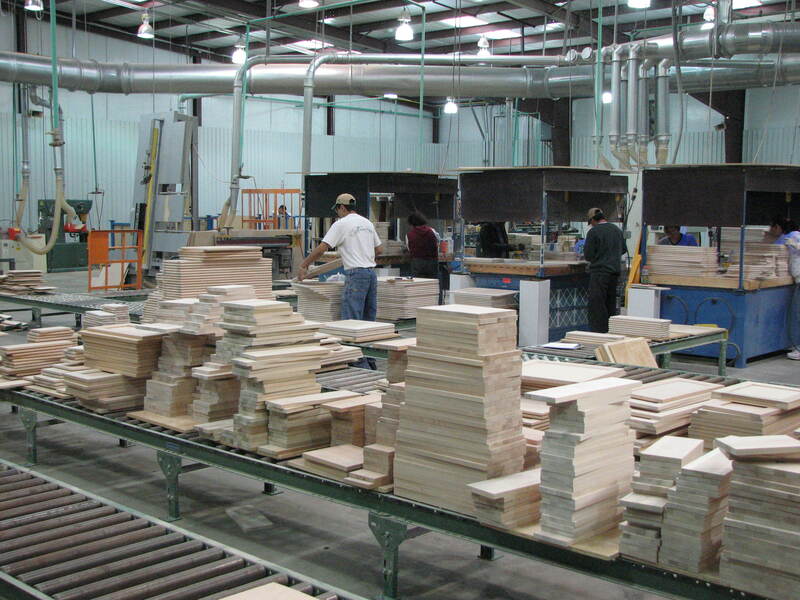 Though no longer a contractor, the company found a niche by offering both quality millwork and laminate cabinets. "We can make a beautiful reception desk, but it's the laminate cabinets that are profitable," says company president Neal Chamberlain. 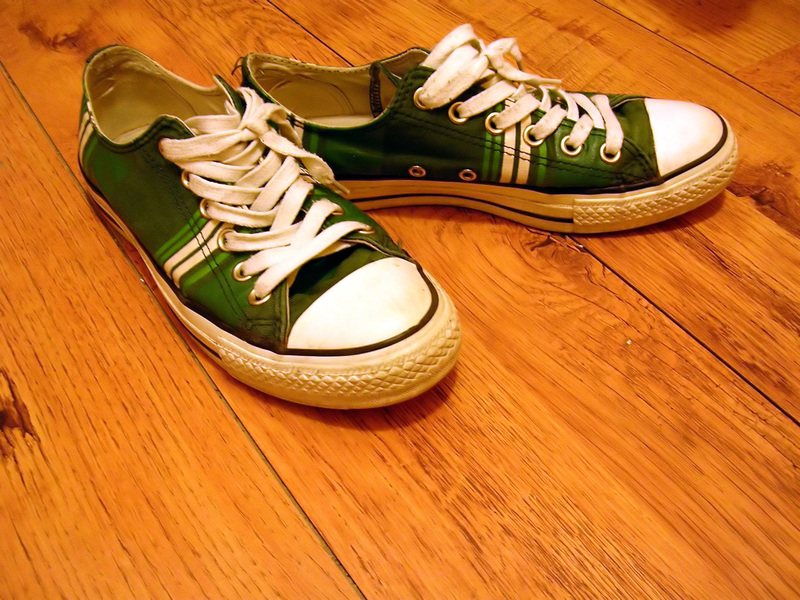 "If we see a job with a lot of plastic laminate, the less wood the better. We make our money on the laminate cabinets." Chamberlain considers reception desks to be loss leaders of sorts, and the Salem, N.H., company makes 15 to 20 a year. "We like to do a really nice reception desk. But if there are a lot of plastic laminate rooms behind that reception desk, that's a good job for us." Rebecca Janco, Chamberlain vice president, says laminate cabinets account for 75 percent of the company's business and millwork represents 25 percent. She says the goal is to keep that ratio while increasing overall sales volume. "If we were doing just plastic laminate, I think we'd have to lower our price," says Doug Fyffe, who handles estimating and sales. "The reason our customers use us is because we do a fine job on the plastic laminate cabinets, but we also put down a really nice reception desk, along with the woodwork and trim that goes with it. They don't have to divide that up and get a down-and-dirty price on the laminate and a high price on the woodwork and front-end work. We cover the whole job well." Coordinating both kinds of work is important. "We've gotten better at the project management end," Chamberlain says. The company has three full-time project managers. When Chamberlain lands a job, it goes to engineering and they make shop drawings, Janco says. At that point custom work and casework go to the floor and are handled by separate people. Planning ahead and organization are also important for the company to operate efficiently overall. For cash flow reasons the company tries to be as close to its install date as possible, Janco says. Generally, a job can be turned around in six weeks, but customers want shorter and shorter turnaround times. "There's an opportunity for three- and four-week turnarounds for projects, based on who can produce the project," Fyffe says. "That's who gets the job. "Long-range, if we have a job in the future, we may lower the price quite a bit to make sure we get that job that may be borderline profitable. That gives us a building block. We know our overhead's covered. And that job's not going to be a rush job." Chamberlain says that by having that month filled, the company doesn't have to discount on other jobs that may come along. If Chamberlain estimates too high, it doesn't get the job, and if the company estimates too low, it loses money on the job, Chamberlain says. The secret to success in estimating, says Chamberlain, is to bid on jobs contractors already have, or to negotiate, instead of bidding to a general contractor who is bidding against other general contractors. One of Chamberlain's advantages is that it works with a general contractor repeatedly to foster good relationships. Chamberlain started his own business renovating hotels and began making his own millwork when he couldn't get good millwork produced on schedule. He later got out of the general contractor business and opened a 4,500-square-foot shop in Salem. In 1993, he bought 6,000 square feet in his current location and then bought the entire building, moving in to 15,000 square feet in 2002. Chamberlain's market area is mostly southern New Hampshire and the area north of Route 128, the highway around Boston. Recently, the company has done a lot of medical and education work. A few years ago it did more corporate office buildings and a lot of tech companies. "We're really a job shop," Chamberlain says. "We can build anything." Cabinet work begins at the Selco EB120 panel saw. The saw operator gets an image that shows the optimized cutlist on the screen. Each cut piece is barcoded at the saw. Jobs are optimized in groups, by room or by floor, rather than everything at once. This reduces the space needed to store all of the cut pieces. "We're manufacturing by room, so it works for our installers and customers, even though we're sacrificing a little bit of optimization," Chamberlain says. Chamberlain designed a space-saving 28 x 80 inch pallet that can store three cabinets, fit on a pallet rack and be loaded by forklift on a truck. Cut pieces may go either to a Holz-Her Accord 1443 edgebander or to a Biesse Rover 24 machining center. The Rover has a 5 x 14 foot work area so Chamberlain can more efficiently handle large, specialized pieces, such as a large curved radius for a reception desk. Chamberlain says that a machine half this size would have worked, but the larger table size pays off on larger jobs. A new Tritec Gannomat boring and dowel insertion machine and Uhling HP3000 case clamp are used to make cabinets. Two Blum Minipress units are used for cabinet door and drawer front boring and hinge insertion. A specialist makes custom items in a designated part of the plant. Chamberlain outsources any glass, granite, metal, fabric acoustic panels or other special items. Chamberlain wants to add a conveyor for work in process, and to add space for assembly and shrink wrapping. 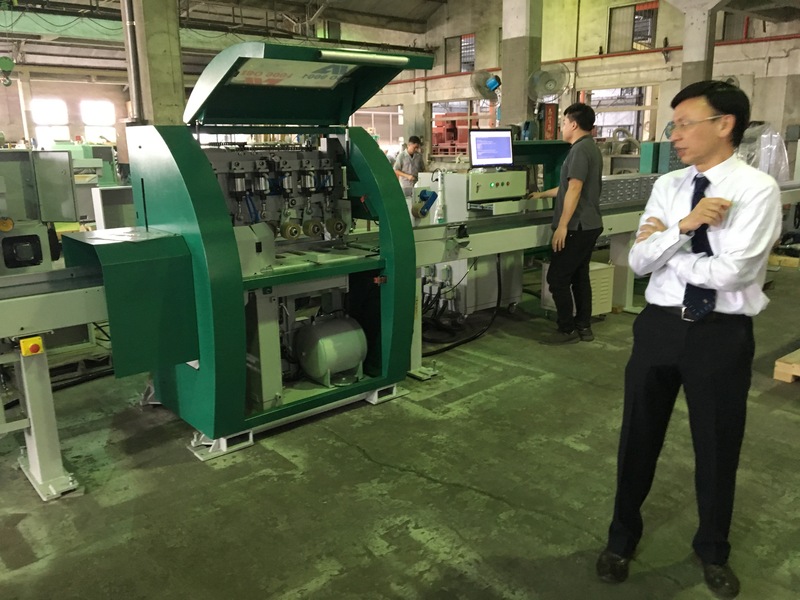 He is also planning a new laminating press and a revamped dust collection system. Overall, Chamberlain expects 2004 to be consistent with 2003, but with more competition.